The budget process allocates City resources and reflects the City Council's goals and priorities. Annual Budgeting Process. The entire municipal finance system culminates in the preparation, adoption, and implementation of the annual budget. The City intends its budget document to establish policy, guide operations, plan for future financial circumstances, and communicate to the City’s residents, businesses, and investors. Capital Improvement Programming. To better manage large-scale investments, the City adopts an annual Capital Improvement Program that schedules engineering and design, land acquisition, and construction for large projects over the subsequent five years. Cash Management. These strategies guide how the City invests short-term cash flow and invests longer-term reserves. Public Trust. The municipal finance system rests on a foundation of public confidence in the City’s ability to fairly and effectively manage municipal finances over the long-term. The City preserves the public trust with clear and concise communications and transparent and accountable financial decision-making. Fund Balance and Reserves. The City seeks to maintain certain levels of funds in reserve for unforeseen cash flow disruptions and for specific purposes, such as post-retirement health care expenses. Reserves differ from “rainy day” funds, which are more like savings for periods of overall economic stagnation or retrenchment. Revenue and Expenditure Forecasting. Key to effective budgeting, the City conservatively forecasts future revenues and expenditure needs and constantly tracks those assumptions. Risk Management. The risk management program includes reserves to cover potential losses, risk control programs and activities, and self-insurance pools. An easily understood, transparent, and accountable municipal finance system that implements The Ontario Plan, safeguards the City’s assets, and maintains the public’s trust and confidence. Departmental Budgeting Requests. We require each department to submit an annual budget request free from reliance on one-time revenues (except for specific grant funded projects) and unsustainable revenue and deficit spending. Department Budget Limitation. We will not commit to spending more than a conservative projection of recurring revenues for the City as a whole. Limitations on Fund Transfers. The City Manager may transfer budgeted amounts between departments within any fund; however, we require the City Council approve any revisions that alter the total expenditures of any individual fund. Overhead Cost Allocation. We require special projects, funds, and contracts to reimburse the City for indirect costs for administration and support services through an annual cost allocation plan. Investment Objective. We require safety of principal as the foremost investment objective; investment decisions shall seek to minimize net capital losses on a portfolio basis. Investment Maturities and Available Resources. We will mitigate market risk by limiting the weighted average maturity of the fund consistent with the approved investment policy; the City’s fund will be structured to ensure that the City’s projected expenditure requirements for the next six months can be met with a combination of anticipated revenues, maturing securities, principal and interest payments and liquid instruments. Fund Balance Target. We expect the annual budget to maintain a minimum unreserved general fund balance in accordance with policies established and from time to time revised by City Council resolution; we maintain this unreserved fund balance to deal with unanticipated disruptions to cash flow and do not otherwise use this reserve. Deferred Maintenance. We require that all deferred maintenance be recorded and that the cumulative sum of this liability be acknowledged in the annual budget process. Comprehensive Debt Strategy. We pursue a strategy to not enter into bonded indebtedness against the General Fund, but to finance capital improvement projects on a pay-as-you-go basis or through other funds and outside sources. General Fund Purpose. We pursue a strategy to allocate general fund resources toward the City’s provision of basic municipal services. Transparency. We expect our City’s budget and annual financial report documents to maintain the highest standards for clarity and content. Investment Strategies. We utilize the Treasurer’s Investment Policy to establish strategies that guide how the City invests short-term cash flow and invests longer-term reserves. Finance Department Responsibility. 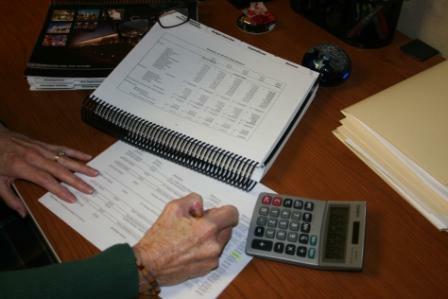 We require the Finance Department review and analyze City Council staff reports to determine potential fiscal impacts.